That means Halloween is almost here, too. Candy science experiment, of course! I haven’t found a definitive scientific explanation agreed by all authoritative scientists yet. But hey, it is still a beautiful experiment to do and to watch regardless. 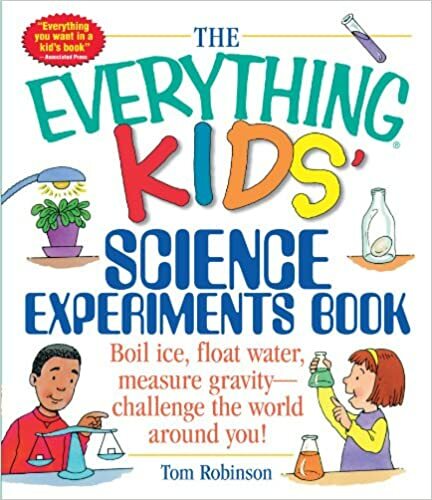 In the Soap-Powered Boat experiment, we learn that to be a good scientist, like Ada Twist, you don’t always have to know the answers, but you have to keep asking questions. Inside a dish, arrange the colored candies into a pattern you like. Pour enough water into the dish until the candies are completely submerged. 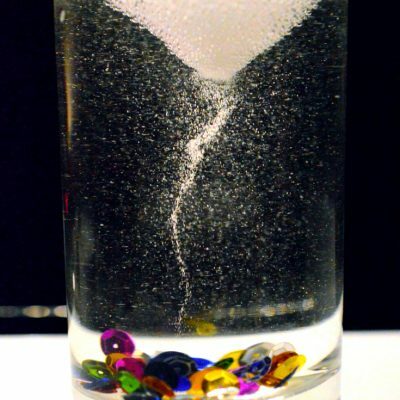 This experiment has demonstrated several scientific concepts. The food coloring used to coat the surface of the candies is water soluble. When placed in the water, the coloring dissolves gradually turning the clear water into colored water. In liquid, molecules (small particles) move randomly around bombarding one another resulting in Brownian Movement. 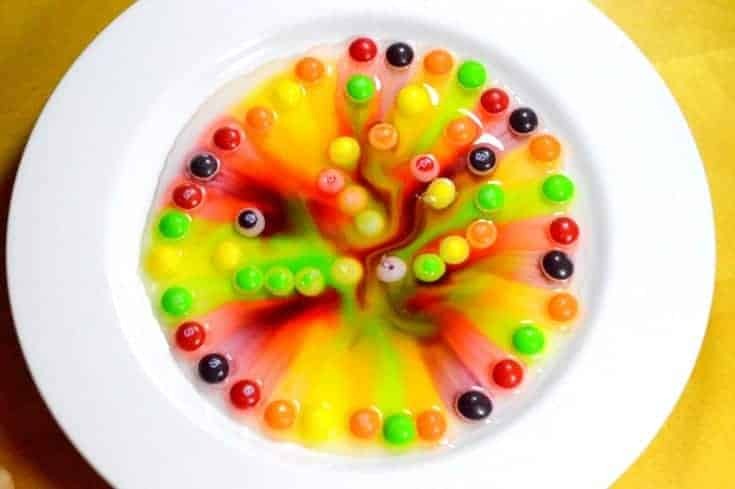 Over time, this motion causes the color molecules to spread from areas of high concentration (around the candies) to areas of low concentration (center of the dish). This physics concept is the hardest and in fact, I’m still not sure if this is the right or only explanation of why the different colors are not mixed together during the experiment. 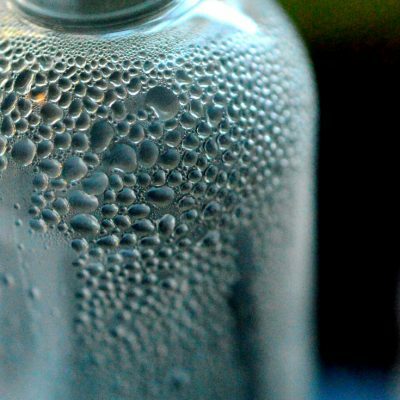 When particles of different sizes are placed in a thin film of liquid medium, the particles tend to stratify (configure) themselves into different layers instead of mixing together. 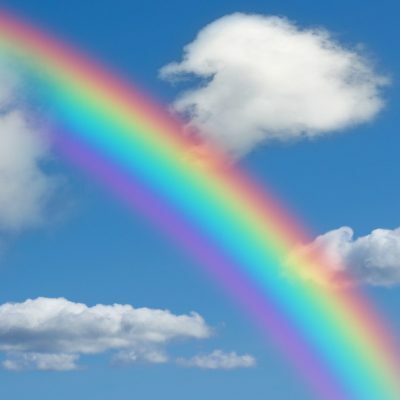 This could explain why the different colors did not blend together. Here is a lively discussion (in the comment section) of what may be the right explanation of this phenomenon. Isn’t candy science experiment fun? If you wonder if this process is repeatable and consistent across different experimental environments (as all good scientists do), here is another experiment illustrating this property of food coloring from a different angle. 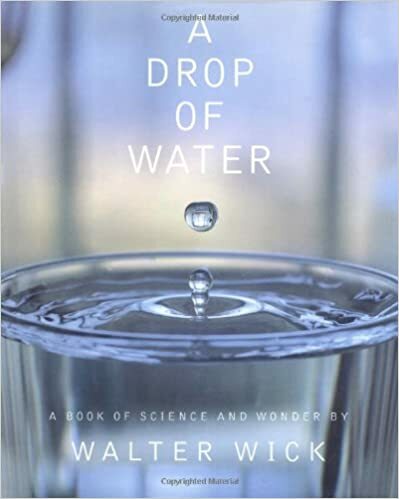 Science is more than just explanations of why things happen. It is an exploratory process to search for facts. As Ada Twist, Scientist*, finds out, she may not always have the answers, but she will keep asking questions. 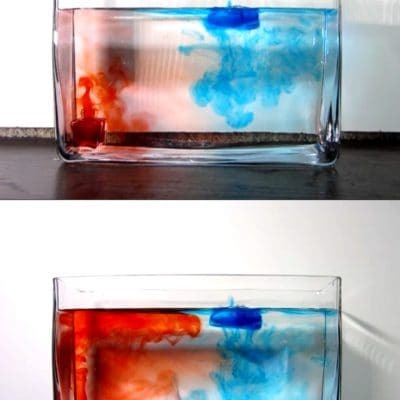 For the inquisitive minds, here are another cool experiment illustrating the beauty of diffusion and more experiments exploring different water properties. 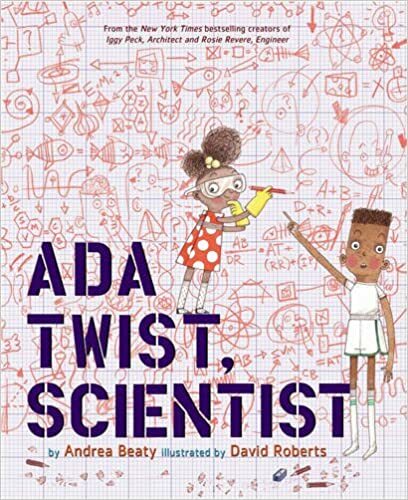 * My daughter received a free copy of Ada Twist, Scientist and a signed print.